Sooner or later everyone encounters a situation in which the stakes are high and the outcome is vital. And even top performers can crumble when faced with such extreme pressure. Consider the CEO who panics in a desperate attempt to shore up his company's earnings, the veteran politician who grows overconfident and loses to the upstart candidate, the quarterback who carries his team to the Super Bowl but falls apart in the final quarter. All of them choked. attorney who refuses to be intimidated in court and wins the crucial case. These people are clutch, and their ability to overcome extreme pressure consistently and beat the toughest odds fascinates us. How do they do it? 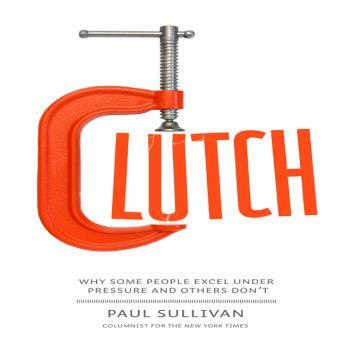 According to Paul Sullivan, clutch performance does not stem from an innate ability. It's a learned skill-the art of operating in high-stress situations as if they were everyday conditions. Even some of the most experienced and talented performers lack this skill-but Sullivan shows that anyone can develop it. Full of powerful advice and real-world examples, Clutch will show you how to overcome extreme pressure and achieve greatness.